On Wednesday, the central bank left its main interest rate unchanged at 1.75%, contributing to the dovish tone that continues to surprise markets. After months of being bullish on the economy, the BOC is suddenly sounding the alarm about domestic economic growth and a lack of momentum heading into the fourth quarter. The dovish sentiment was exacerbated on Thursday as BOC governor Stephen Poloz told a Toronto audience that lower crude oil prices that have impacted Western Canada will affect the entire country. Though it will not be as bad as the 2015 crisis, it will still contribute to a sluggish economy. Poloz explained that since his speech in October, economic data has been disappointing, but he stopped short that it could postpone future rate hikes. The BOC was widely expected to raise rates in December, but the central bank hit the panic button. This leaves the three planned rate hikes in doubt, should the Canadian economy slump throughout 2019. Crude continues to shed its value as January West Texas Intermediate (WTI) futures plummeted $1.78, or 3.37%, to $51.08 per barrel on the New York Mercantile Exchange. Oil, which remains one of Canada’s biggest exports, has cratered 24% since September, but Alberta has bared the brunt of the bear market. Canadian oil firms are increasing their output to meet the demand, but export pipelines are unable to keep up due to lower capacity. As a result, the province is only receiving $14 per barrel. To alleviate the situation, the Alberta government will slash output by 325,000 barrels per day (bpd), or 8.7%. It is also demanding the federal government to invest in oil-by-rail transportation. On the data front, the nation’s goods trade deficit surged to -$1.2 billion in October, up from -$400 million in September. The deficit widened because exports slipped 1.2% and imports dropped by 0.6%. 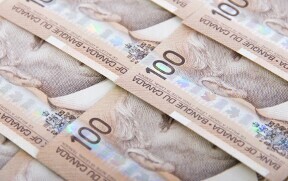 The USD/CAD currency pair rose 0.31% to 1.3397, from an opening of 1.3357, at 16:48 GMT on Thursday. The EUR/CAD advanced 0.6% to 1.5242, from an opening of 1.5155.